Are your carpets a mess? Do you want to get ALL the spots out of your carpets? Are you looking to restore your carpets to looking and smelling like new? We have helped numerous people in the Tri-Cities area to restore their carpets to “just like new” condition. We use state of the art cleaning techniques and equipment that leaves your carpet clean, fresh, and beautiful. Mid-Nebraska Steamers Cleaning Services is an honest, family-owned and operated company that loves making our customers say, “Wow!” If you are ready to have the best carpet cleaning out there, call us at 402.469.7733 or request your free online quote. Have your pets left stains and odors in your home? If your pets have left discolored spots and smelly odors on your carpets or furniture, we can help. You can also choose to have us Scotchguard your carpets to prevent future stains from settling in and becoming permanent. Do you suffer from allergies from the dust built up in your carpet? If you suffer from allergies, it is recommended that you have your carpets cleaned every 6 months for maximum benefits. Call us today at 402.469.7733 to schedule time for us to remove the dust and allergens from your carpet and upholstery. And remember, if you ever need Emergency Carpet Cleaning Services, Mid-Nebraska Steamers is on call for you 24 hours a day. We are your one-stop choice for all your flooring, upholstery and carpet cleaning needs. Homeowners who love their carpets always looking their best but also want to save money love Mid-Nebraska Steamer’s Ultimate Clean Package. The Ultimate Clean Package gives you the peace of mind knowing that your carpets will always be looking their best, while saving you money! Select the Ultimate Clean and we will come steam clean the areas you select in your home. This includes moving any furniture, applying Scotchguard carpet protectant, and using our signature fast-dry drying process to get you back to your daily routine fast. After the initial clean, we will complimentary treat any spot that may arise within six months – an $85 value for free. Six months after the initial clean, we will return to steam clean traffic paths at half-off the normal price. Contact us today at 402.469.7733 to schedule your Ultimate Clean! 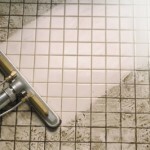 Make your tile and grout look new again! Tile and grout are notoriously difficult to clean. Every homeowner and business owner knows that regular mopping, home tile cleaners and home grout cleaning methods sometimes are not enough. If you’re trying to eliminate stubborn dirt that has settled on tile surfaces or deep into grout lines, you could spend forever scrubbing and it still would not be enough. Call Mid-Nebraska Steamers Cleaning Services today and we’ll come to the rescue! Our professional tile and grout cleaning process will keep your tile surfaces, grout lines and counter tops clean and fresh. We will get your tile and grout looking like new once again. Contact us today or request your free quote. Conveniently located in Kenesaw, Nebraska. 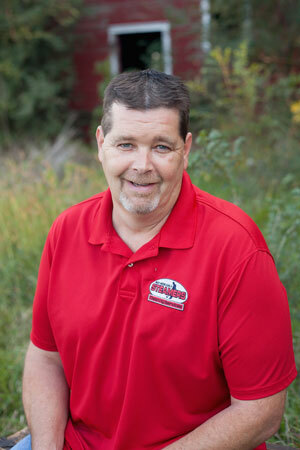 We are a short trip to each of the Tri-Cities and many rural areas in central Nebraska. Mid-Nebraska Steamers serves Hastings, Grand Island, Kearney, and numerous surrounding areas. Please type what appears in the box.